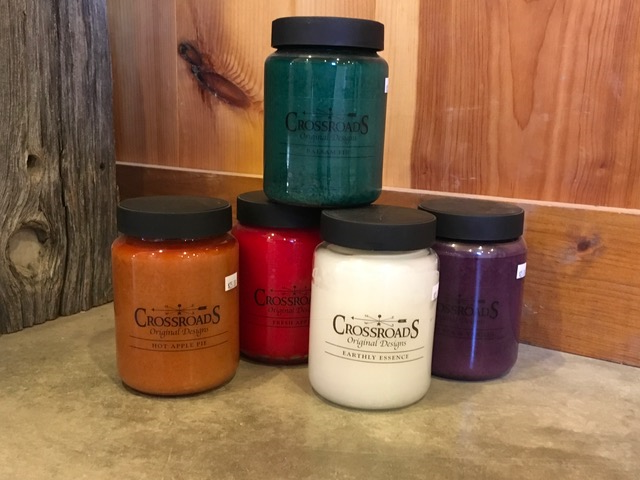 All of Crossroads Candles are made with a very clean burning, blended paraffin wax which allows for the maximum amount of fragrance. Each candle is poured in the factory located in Bucyrus, Ohio. The 16 and 26 ounce candles come in 72 great fragrances and have two lead-free wicks. 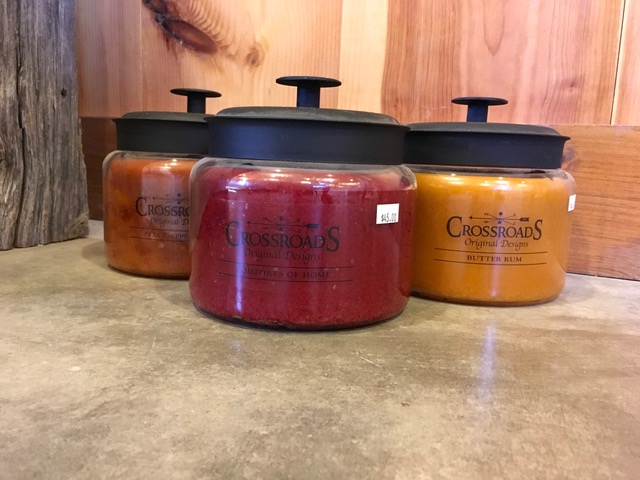 The 48, 64 and 96 ounce candles come in 72 fragrances and feature three or four lead- free wicks as well. The Black Scent Lock lid is made of recycled, eco-friendly material and is produced in the USA. 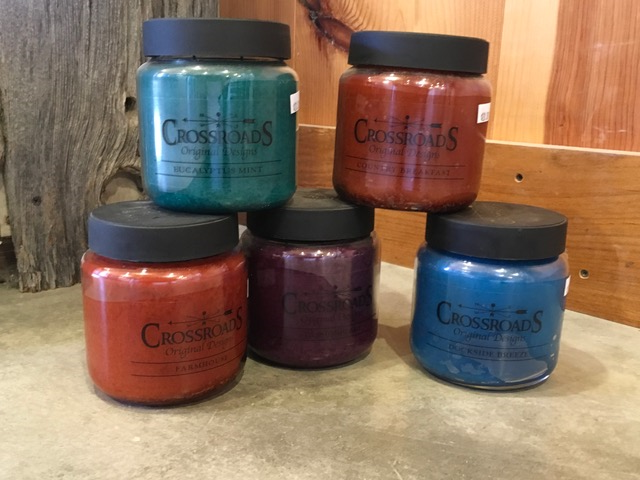 Here are the amazing scents available in the Crossroads Candles line. At Bloomers, we do not carry every single scent all of the time, but we are more then happy to order the scent you would like in whatever size you would prefer, just let us know!